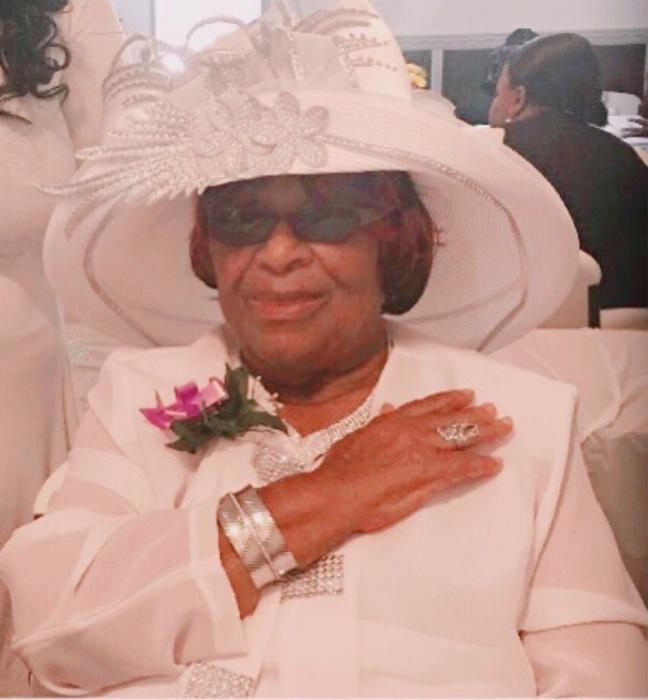 Bessie Mae Smith McGirt 78 of Maxton transitioned into eternal rest on April 5, 2019. Dr. David N. Patterson Jr. Is the pastor and will deliver the eulogy. Burial will follow in the Southern Grove Church Cemetery in Rowland. Survivors are: Daughters: Brenda Ferebee, Juanetta Graham, Ronda Smith, Bessie Bell Reaves, Elizabeth Patterson, Mary C. Smith, Selena McKinnon and Mildred McGirt. Sons: Leroy Smith, Eddie McGirt, Salmon McGirt, James Edward McGirt. Brothers: Chalmers Smith, Randolph Smith. Sisters: Jennie Lowe, Carrie Campbell, Doretha Douglas. Grandchildren: 60, Great Grandchildren: 68. Great Great Grandchildren: 3.